Mix all ingredients in a bowl until well-combined. 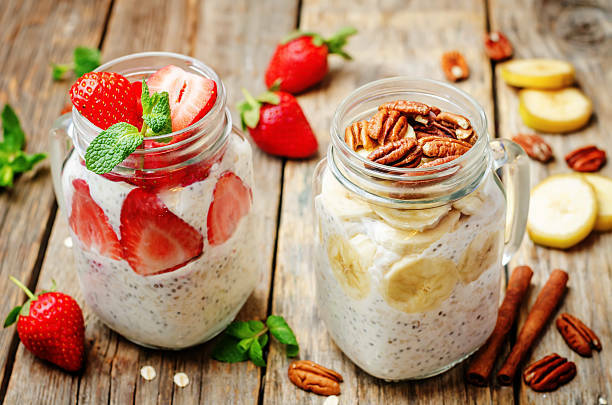 Place the oats mixture in a glass jar with closed lid overnight. Transfer your oats mixture to a bowl the next morning, add your favourite toppings and more nut milk if you prefer and enjoy hot or cold.